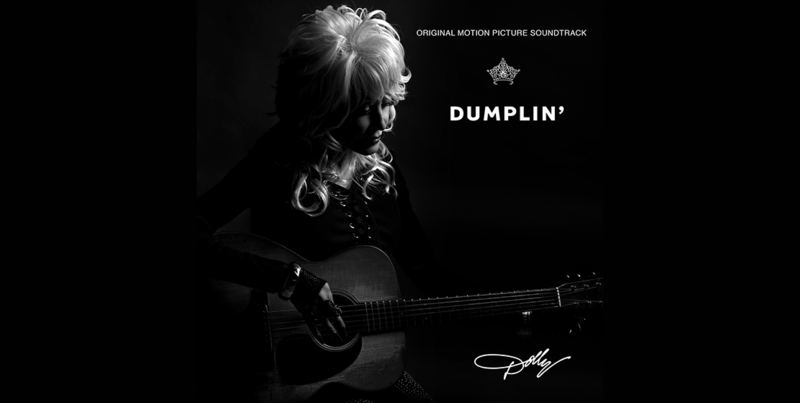 International superstar Dolly Parton continues to make appearances this week in support of her Dumplin’Original Motion Picture Soundtrack featuring 12 newly-recorded tracks produced by GRAMMY® nominee Linda Perry on Dolly Records/RCA Nashville (Sony Music Entertainment). The Netflix Film “Dumplin’,” directed by Anne Fletcher and starring Jennifer Aniston, Danielle Macdonald, Odeya Rush and Harold Perrineau, Dumplin’” will premiere in select theaters and on Netflix this Friday, December 7. Tomorrow, December 6, Dolly Parton and Jennifer Aniston will appear on ABC’s “Good Morning America.” Additionally, the eight-time GRAMMY® award winner will be interviewed on NPR’s “Weekend Edition Sunday” on December 9. Previously announced, Parton will appear on the Thursday, December 6 episodes of the nationally-syndicated “Ellen DeGeneres Show” and CBS’ “The Late Late Show With James Corden,” both shows also featuring Anniston. Parton will appear on “The Talk” on Friday, December 7; the entire show is dedicated to the singer-songwriter and the Dumplin’ soundtrack and Netflix Film. Following months of anticipation, Dolly Parton released last Friday, November 30, the Dumplin’ Original Motion Picture Soundtrack featuring Parton on every song. The selections are all newly-recorded, some Dolly classics from her catalog as well as brand new songs co-written by Parton and Linda Perry. The exceptional guests on the album are as follows: Sia, Elle King, Mavis Staples, Miranda Lambert, Willa Amai, Rhonda Vincent, Alison Krauss, Macy Gray, and DOROTHY, as well as cameos by “Dumplin’” stars Danielle Macdonald and Jennifer Aniston.